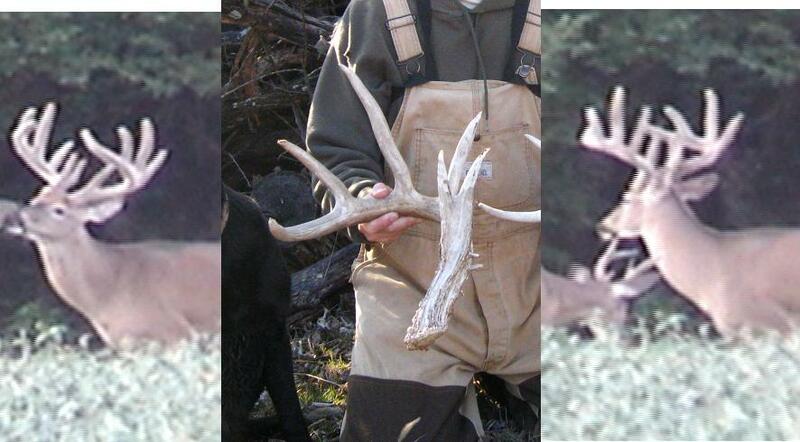 These are the “Slick Ten’s” Sheds from 2007-2008. My dad found them a few weeks ago while shed hunting with Larry and I. 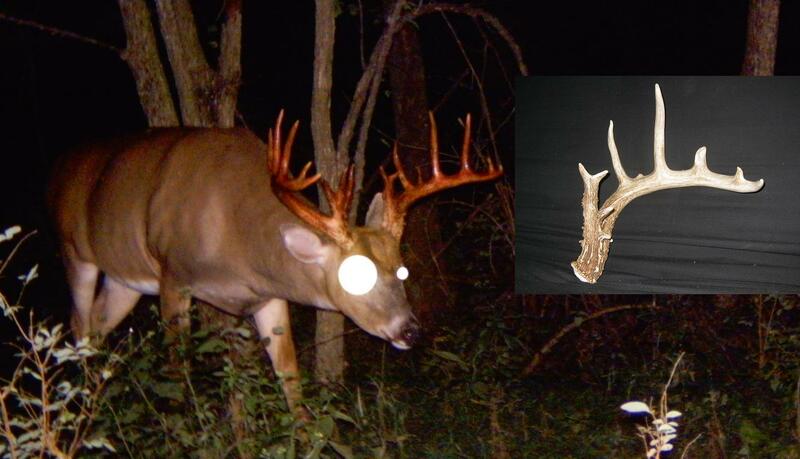 This is the same buck Larry had an encounter with in December of 2007 on HBTV.1. 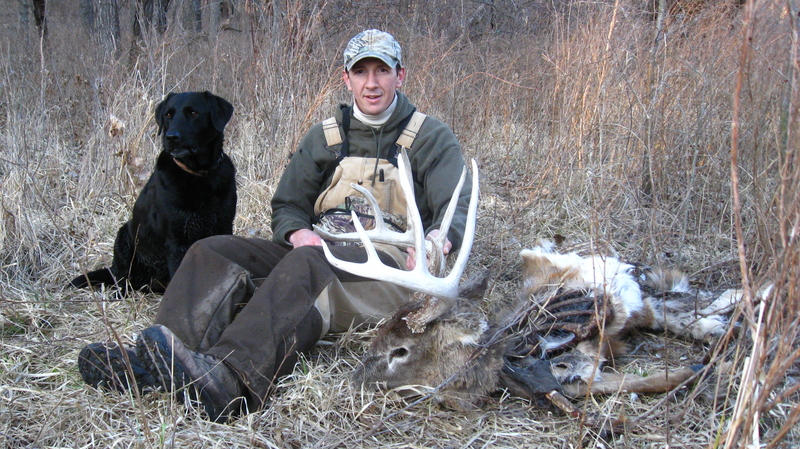 Hopefully we can find his shed’s from 2008-2009 and put him down this fall. With a 17 inch spread he grosses out at 170 0/8 and nets 163 4/8. 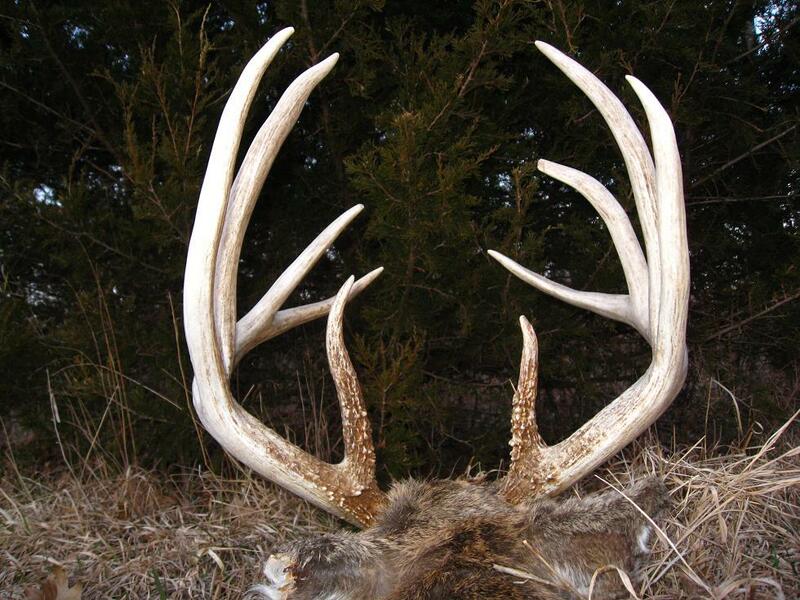 This shed was found 10 yards from the Slick Ten’s sheds and is also from the 2007-2008 season. The last time I saw this buck alive was the summer of 2006 in full velvet. Hopefully he is still around. This shed scored 82 2/8. This is a buck I nicknamed the Scendero buck. I have pics of him since he was 2 1/2. Last year I found his right shed and just a couple days ago I found his left side from this year. This fall he will be 5 1/2 and we are hoping he makes a good jump and gives us an oppurtunity this coming season. 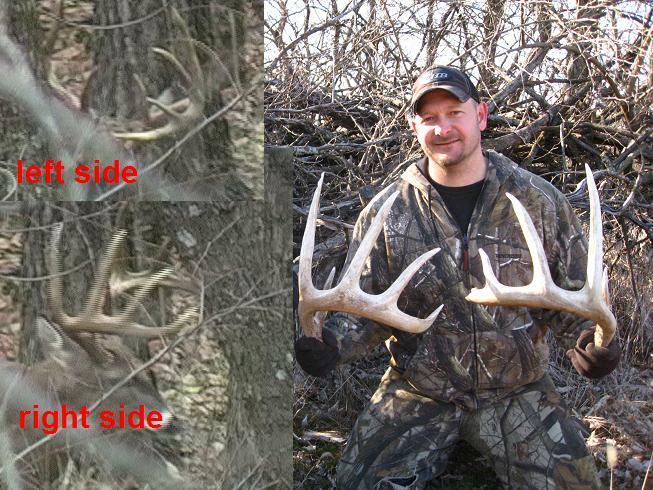 The shed scored 60 5/8, but has about 7 inches of antler broke off. I ran across this big dead 10pt while out shed hunting. Not sure how he died, but he is going to make a nice Euro mount. He grossed out at 163 1/8 and netted 154 5/8. Ive been waiting for these! Man, those are some good finds, even if they are a year old. Hopefully those deer are all still around and are killable this coming fall! Thats a stud 10 you found dead. He will make a really nince euro mount! That’s it…..I am walking 5 miles tomorrow in search of the illusive horn. Dam boys, those are some massive sheds and deads!! Ty, is that actually a shed dog? …or just a buddy to keep you company in the woods? My dog doesn’t have any shed training (other than using them for chew toys) but we’re about 50/50 on finding sheds. I trained her as a shed dog about 4 years ago. She really seems to shine in thickets where I cannot see as far, but I always let her find them even if I see them first. There have been quite a few times she has found sheds I would have never found. Sounds like your dog is doing good if she is going 50/50 with you. What kind of dog is it? Well his 50/50 ratio may just be helped out by the fact that I’m bad at finding them myself. He’s a mutt but a pretty good bird dog. 1/2 German Shorthair and 1/2 Weimeraner. I think he’d be a lot happier if I’d kill my deer in October this year so November & December can be all about pheasant and quail! I bet you are right about the bird hunting. We use to have some english pointers, but the quail population has gone down hill so much we kind of got out of it. That and deer hunting takes up almost all of our time. Good luck this season. Sadly we don’t have many quail around here either, but we’re only 2-3 hours away from some pretty good pheasant hunting in Central Kansas. On the deer front I sat on a beanfield tonight and watched a nice mature bachelor group feed out into the field about 30 minutes before dark. 4 deer, smallest one ~140, biggest will break 160 before its all said and done I think. …7 more weeks to the opener!